Cleansing is arguably the only skincare step that you absolutely have to take. You can bypass toning, exfoliating and even god forbid moisturising, but you absolutely must clean your face. I wonder if this is the reason I am and continue to be completely enamoured by cleanser and have to keep buying new varieties to try each month. 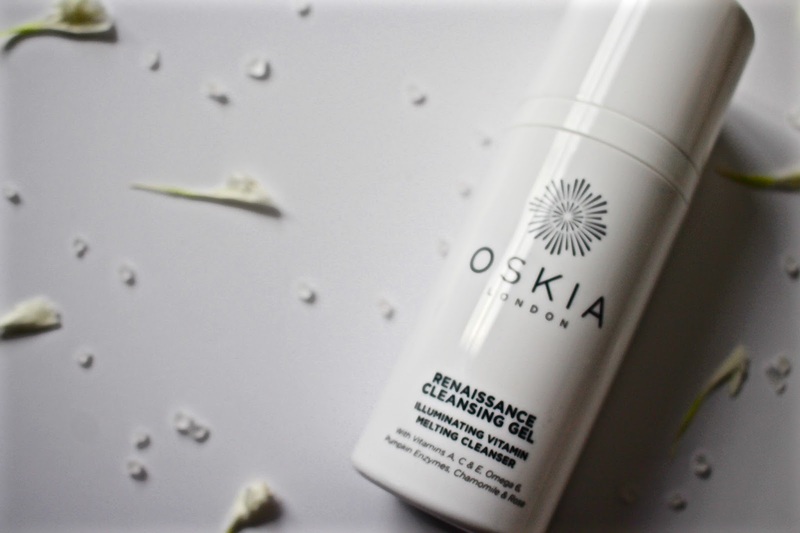 The latest to my collection is the Oskia Renaissance Cleansing Gel which I picked up on an especially hasty and expensive Cult Beauty order. Now I must take a second to place the blame on this purchase with Anna The Anna Edit and Lily Lily Pebbles who's opinions I value greatly through years of reading and watching their reviews and hauls and agreeing whole heartedly with every statement they make. I haven't tried anything from Oskia as of yet but I must say I have heard glowing reviews all round. So I am the kind of person that typically will only go in for a single cleanse day to day. I would only double cleanse if I was wearing an excessive amount of make-up or on a Sunday when I am doing an intense skin care routine. So my first point about this product is that it isn't the best for removing heavy eye make-up, you will need to go in with a specific eye make-up remover with this product if you did happen to be wearing a lot. Personally during the week I will mostly have on mascara and maybe a little bit of shadow or a slick of liner so to be honest this cleanser does the job pretty well. It wouldn't be my weekend cleanser as I know it wouldn't stand a chance against my smoky eye. Another point I want to cover is how gorgeous my skin felt after applying the cleanser. The scent of the gel like consistency was gorgeous and when I removed the product my skin felt silky smooth as if it had been smoothed out a little. When I did a little more digging into the ingredients list I learned there are pumpkin enzymes in which provide a light exfoliant which is such a great addition to the cleanser. There are also mountains of Vitamin C, E and B2 which will help to protect and promote firmness in the skin. I definitely would use this cleanser as a morning offering or on a day where you are wearing a lighter amount of make-up. It has been promoted straight to the front of my bathroom cabinet as one of my favourite new products. Thankyou Anna and Lily for another fantastic recommendation! I haven't heard of this product, but I'm definitely curious now! ive not heard of this brand before. so many vitamins and is great for light makeup. I try not to overwash my skin either. This cleanser sounds pretty fabulous, I have to say! I've heard so many about this brand. Looks so good! I must admit, I am not very good at having a cleansing routine. I really need to get better at it though. This sounds like a great cleanser. I'm very big on my skin care routines, but have yet to come across this brand. I'll give it a go for sure! Oooh, you've piqued my interest! Love when skin feels really clean! This brand is new to me but it sounds like their cleanser is lovely. It's also great that it helps to firm the skin. Sounds like a good recommendation! My mummy could do with a new cleanser thats light and not harsh! This is one of my favourite cleansers - I swear by it. It smells amazing too! This cleanser does remind me of Lily and Anna ahah! Looks so good. I'm glad I'm not the only one who has different cleansers for different times of the week! 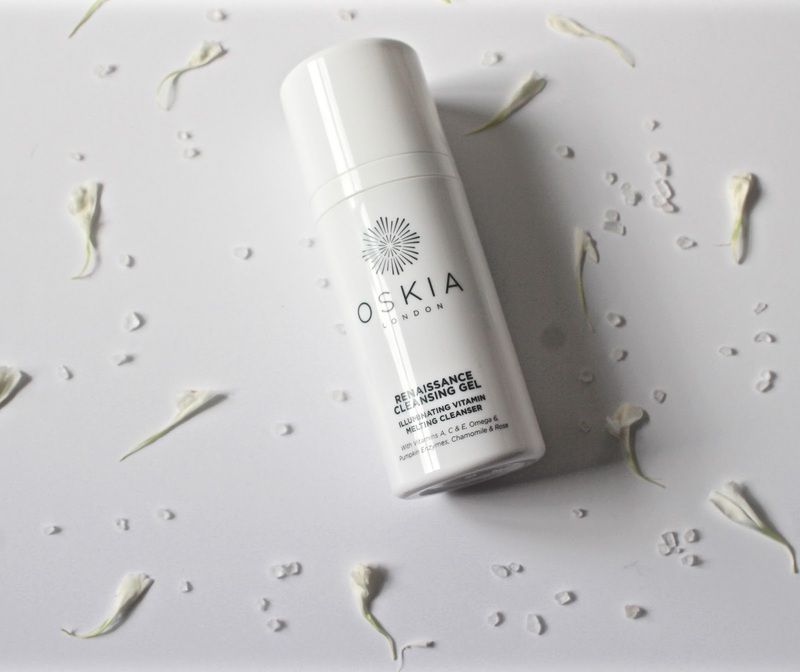 I've heard of Oskia but I've not tried the brand yet. The cleanser sounds great!